A 3 day (18-20 Dec 2010) Training workshop on STI/SRH case management & record keeping has been started from today. This training has been organized by YPSA consortium of YPSA-GFATM#912 package. Ms Khaleda Begum, team leader of YPSA consortium has inaugurated this training. 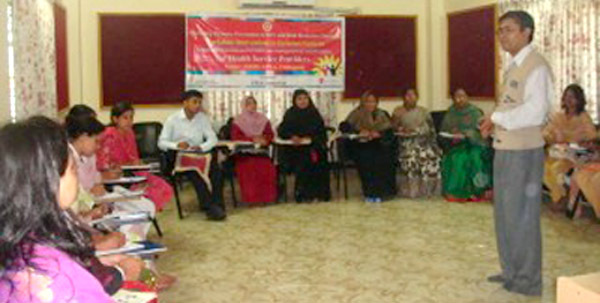 Health care providers of Group of Garments & health care center’s are the participants of this training. This training facilitate by Prof. Dr. AQM Serajul Islam , Dr. Bhagyadhan Barua & Mohiuddin Hafiz.